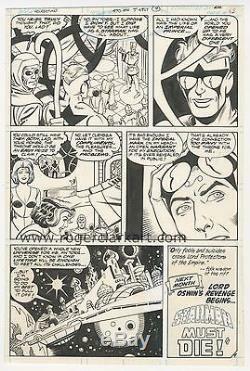 Here's the original art for the end page for the Starman story in Adventure 470, penciled by Steve Ditko and inked by Romeo Tanghal - beautiful page by a great team. PROGRAMMING NOTE: These are my last art auctions for the year. Back again in the first week of January with a round of strip art. 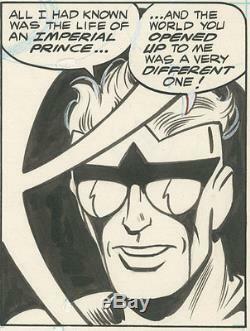 The item "Steve Ditko, Adventure 470, Starman end page, NO RESERVE" is in sale since Saturday, November 26, 2016. This item is in the category "Collectibles\Comics\Original Comic Art\Interior Pages". The seller is "bwooster" and is located in Ridgway, Colorado. This item can be shipped worldwide.